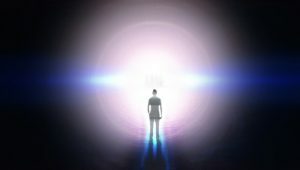 Near-Death Experiencers: We offer to accelerate the integration process through Healings/Clearings and Intuitive/Psychic Readings to those who have had a Near-Death Experience (NDE). This also applies to those who are having a Spiritual Awakening or those who have had a Spiritually Transformative Experience. This healing work will provide you with profound emotional, mental, physical and spiritual changes. It will help you move forward with your transformation. This integration and healing can be done In-Person, Telephone or Skype. A Healing/Clearing session is approximately 40 minutes. The session’s cost is $160.00. A Healing/Clearing with an Intuitive Reading is 1 -1.25 hours. The cost is $260.00. As a Near-Death Experiencer, Dawn Secada knows firsthand how difficult the journey to wholeness can be. Integrating such a spiritual and other-dimensional experience is quite overwhelming, joyful and challenging. Once you have returned back to earth from other dimensions, nothing is the same ever again. The Healings/Clearings Dawn has received from Deniella over the past years have accelerated her NDE integration process tenfold and have helped her ascend on so many levels. They have been wonderful, but difficult at times. The Healings/Clearings removed serious illnesses and disease, released negative human tendencies and transcended her spirituality. Research shows it takes an Near-Death Experiencer at least 10-15 years to feel comfortable in their body and in this world, with their new thoughts, beliefs, feelings, etc., the first 3 years being the most difficult. Deniella’s healings have advanced Dawn’s health, emotional & spiritual growth and increased her integration process tenfold. We can help you move forward in your life with a new awareness and an increased energetic vibration. Please call us. If you are interested in learning more about a Healing/Clearing session please contact us at either UnityEnergyHealings@gmail.com or call 585-205-4116. To learn more about Near-Death Experiences or Spiritually Transformative Experiences, please visit the American Center for the Integration of Spiritually Transformative Experiences, www.ACISTE.org. This is a beautiful organization which helps on so many levels, especially the emotional level. ACISTE offers so much assistance and a wealth of profound information.